Now that the Detroit Red Wings have been eliminated from the playoffs and Pavel Datsyuk has likely played his last game in Detroit, Red Wings fans have reason to feel pessimistic heading into the 2016-17 NHL season. But it’s not all bad. There’s actually a lot to look forward to. With a deep roster and room to make moves, the Red Wings are not that far away from returning to glory. Remember, the Red Wings managed to play well after Steve Yzerman and Brendan Shanahan left following the 2005-06 season. They had a great season the year after Nicklas Lidstrom retired too. With that being said, here are 25 reasons to be optimistic heading into next season. Keep your head up, Detroit. It could be A LOT worse (see Edmonton Oilers). 1. Even without Pavel Datsyuk, the Red Wings still have a loaded roster. If Pavel Datsyuk indeed decides to return to Russia, the Red Wings still have enough talent on the roster to compete in the playoffs next season. 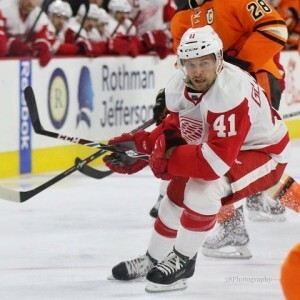 Tomas Tatar and Gustav Nyquist will improve and Andreas Athanasiou, Dylan Larkin, and Anthony Mantha will have another year of experience under their respective belts. 2. Dylan Larkin will achieve superstar status in the near future. Before the season started, would anyone have predicted the success Larkin enjoyed in his rookie year? Detroit’s latest All-Star took Hockeytown by storm when he debuted against the Maple Leafs back in October. Heading into season two, coach Jeff Blashill stated that Larkin’s ceiling is limitless and could be one of the best players in the NHL. Don’t call him the next Steve Yzerman yet, though. 3. Petr Mrazek is the real deal. Around the middle of the season, Red Wings fans—and the NHL—saw Petr Mrazek at his finest. 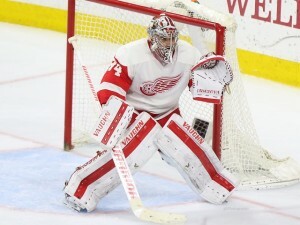 And with another year of experience, Mrazek will develop more consistency to his game. He is a true NHL starting goalie and has a history of winning at all levels. The next goal is to take the Red Wings on a deep run into the playoffs. 4. Ken Holland is right: Danny DeKeyser is a true top defenseman. At the end-of-season press conference, Red Wings GM Ken Holland had high praise for Danny DeKeyser. holland: dan dekeyser is a legitimate top 4 defenseman. could not have hoped he would develop any better out of college. Hopefully, he can find a defenseman to pair with DeKeyser if Mike Green and Brendan are not the ideal answers. 5. Jeff Blashill will improve with experience. holland: blashill will be better coach for what he went through this year. a really good young coach. There is indeed a lot of truth to what Holland is saying, though. After replacement a surefire Hall of Famer, Blashill guided the Red Wings to a 25th straight playoff appearance. And with another year to game plan and build his own roster, Blashill and the team will improve next year. Look for the Red Wings’ systems and strategies to be a little bit more advanced next year, leading to more goals and better team defense. 6. Brendan Smith had a great year—and there’s more to come. Despite being a healthy scratch for two playoff games, Brendan Smith had a breakout year for the Red Wings. In arguably his best NHL season, Smith rounded out his game and was Detroit’s best defenseman to join the rush—something that Mike Green trademarked in his DC days. Heading into the 2016-17 season, Smith will be competing for top-four minutes and power play time. Look for Smith to be one of Detroit’s best defensemen next season—something that, as little as two years ago, seemed completely farfetched. 7. A healthy Henrik Zetterberg can still compete at a high level. 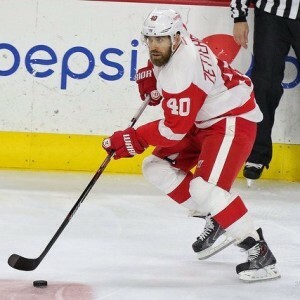 After battling a back injury for almost two years, Henrik Zetterberg entered the 2015-16 season with a clean bill of health and did not disappoint in the first month of the season. He’ll now have another long summer to rest up and get stronger. And with Datsyuk potentially out of the picture, there will be more pressure for Zetterberg to take control and for others to step up. The perfect outcome of this scenario would be for an improved Zetterberg and younger players to mutually benefit each other while stepping up in Datsyuk’s absence. 8. Blashill and Holland were not satisfied. After years of passive public reviews, the Red Wings’ management team (strongly) voiced their displeasure with how this season turned out. holland: it was a very disappointing season. You can expect Holland and Blashill to light a fire under the current team and add the necessary components for success this offseason. They took the team’s underperformance personally and want to be an overall better team in the coming years. 9. The new core is still quite young. Red Wings under aged 26 and under: Tatar, Larkin, Athanasiou, Mantha, Nyquist, Riley Sheahan, Teemu Pulkkinen, Tomas Jurco, DeKeyser, Alexey Marchenko, Mrazek. That’s a solid core of players—and that doesn’t include mainstays Zetterberg, Justin Abdelkader, Luke Glendening, Smith, Green, and Niklas Kronwall. Factor in the Red Wings’ deep prospect pool and the future doesn’t look too grim in Detroit. In fact, it looks kind of bright. 10. Tomas Tatar and Gustav Nyquist will rebound. Tatar admitted he was feeling pressure to score more this season. He signed a three-year, $8.25 million deal in 2014, so he will be a restricted free agent after the 2016-17 season. Sipple later explained that Tatar might get traded, but “might” is a stretch. Unless the Red Wings were getting an All-Star back, it’s unlikely Holland would trade his best, pure goal scorer. 11. Riley Sheahan finished very strong. While he did play most of the season at a below-average level, Red Wings’ center Riley Sheahan finished off the regular season on a tear and found a new role as a shut-down winger in the playoffs. He—along with Glendening and Abdelkader—completely overmatched the Lightning’s top line of Tyler Johnson, Nikita Kucherov, and Alex Killorn at even strength. Heading into next season, Sheahan will be given a larger role in Datsyuk’s absence and will not disappoint. The Red Wings have a great, two-way center to lead their second or third line, depending on Larkin’s utilization. This could be a breakout year for Sheahan—one that could produce 15 goals and 50 points. 12. 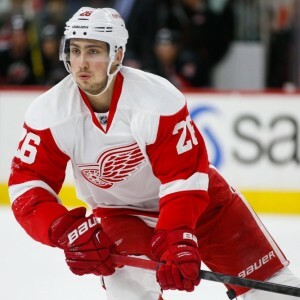 Tomas Jurco and Teemu Pulkkinen will come to camp hungry. No one likes to be a healthy scratch. Jurco and Pulkkinen took a seat for the entirety of the playoffs and were likely aching to get some playing time. Now, with Datsyuk retired, the two young scorers will have a chance to compete for top-six minutes. Each still has high potential that has yet to be tapped. Could one or both break out next season? A summer committed to training will put both in the driver’s seat for some serious playing time in Detroit. 13. There are some solid prospects in the cupboard. After their seasons ended, top prospects Evgeny Svechnikov, Joe Hicketts, and Vili Saarijarvi joined the Grand Rapids Griffins for their playoff run. The three had standout seasons in the QMJHL, WHL, and OHL, respectively. Additionally, Adam Marsh could prove to be a steal after averaging just under a point per game with the Saint John Sea Dogs. Factor in Dominic Turgeon, Tyler Bertuzzi, Alex Holmstrom, Christoffer Ehn, Robbie Russo, Xavier Ouellet, and Jake Paterson, and the Red Wings have quite a few prospects who could develop into NHLers. 14. If necessary, Datsyuk’s cap hit can be moved. This past offseason, Philadelphia traded Hall of Fame defenseman Chris Pronger’s contract, along with Niklas Grossman, to Arizona for Sam Gagner and a conditional draft pick. Though Pronger was technically eligible for the Long-Term Injured Reserve, the Coyotes chose to keep Pronger’s $4 million-plus cap hit on their roster. Datsyuk’s $7.5 million cap hit can be moved without hurting the Red Wings’ future—plus teams wouldn’t need to pay him, as he’ll be officially retired. 15. Holland promised to add size in the offseason. At the end-of-season press conference, Holland also promised to add size to a smaller Red Wings’ lineup. holland: I’d like to make a move or two this summer to get a bigger player or two on the team. With Sheahan and Abdelkader as the only forwards with “size”, the Red Wings could upgrade this aspect of the team. Additionally, their only physical defenseman (apart from Smith) was Kyle Quincey, who may not be re-signed. 16. Anthony Mantha can play in the NHL. In his brief stint in the NHL, Anthony Mantha impressed offensively, but left some to be desired for the defensive part of his game. His response? 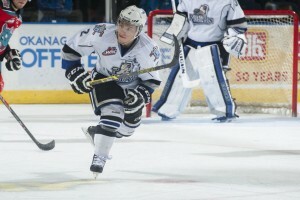 Tearing up the AHL playoffs. Literally. Expect Mantha to come to Red Wings camp next season and earn a full-time gig with the varsity team. His size, physical play, and goal scoring talent will be a welcomed addition to the Red Wings. 17. Luke Glendening is a true shut-down center. When faced with the task of shutting down Tampa Bay’s top line in the playoffs, Glendening excelled. In Games 3 and 4, Glendening helped to shut down Tampa Bay’s Killorn-Johnson-Kucherov line at even strength. When given the opportunity to match lines, Blashill now has a center that can pester opponents’ top players and prevent them from getting scoring chances. 18. There are some decent players on the free agent market. Depending on if Datsyuk’s contract or Jimmy Howard can be moved, the Red Wings could have a lot of cap space to play with. Apart from the coveted Steven Stamkos, second-tier and role players like Kyle Okposo, Andrew Ladd, Jamie McGinn, and Dale Weise could add scoring and size to the Red Wings’ lineup. Some will cost more than others, but the Red Wings have the ability to be active in the free agent market. 19. Detroit can make some trades without mortgaging their future. It’s best established that the Red Wings still have a deep roster and quite a stockpile of prospects. And with that combination, they have the ability to part with a few players to strengthen their roster. If players of Kevin Shattenkirk or Dougie Hamilton’s caliber are on the market, expect the Red Wings tp be active. They can part with players and prospects without weakening their overall roster by consolidating two or more good players for a great or excellent player. 20. Their power play can only get better. With Zetterberg, Nyquist, Tatar, Larkin, Pulkkinen, Kronwall, Green, and Smith on the team, the Red Wings have the talent to have a strong power play. Assistant coach Pat Ferschweiler’s first year leading the power play was less than ideal, but the strategy can be improved with more time and practice. It’s easier to make changes before the season than on the fly during the season. And after going 1-for-25 with the man advantage during the playoffs, expect Ferschweiler to bring a better strategy to camp in the fall. 21. A new defensive assistant coach will bring in fresh ideas. Now that Tony Granato is moving on to coach the University of Wisconsin’s hockey program, the Red Wings will need to hire an assistant coach to run the defense and penalty kill. This new coach will bring new strategies and ideas to the team. Potential candidates could include Griffins’ coach Todd Nelson, NHL Network Analyst Scott Stevens, or QMJHL coach Darren Rumble. Part-time assistant coach Chris Chelios will remain in a part-time role while helping to take care of his family in Chicago. 22. Rebuilding is not an option. Thank the hockey gods that the Red Wings will not follow the same route as Toronto, Edmonton, and Buffalo. holland: we’re not reloading. we’re not rebuilding. we’re trying to go on a playoff run. Basically, the Red Wings will improve and continue on their quest for dominance. There’s no need to rebuild an already young roster. 23. Andreas Athanasiou will get a larger role. In limited time this season, rookie Andreas Athanasiou became a cult hero in Detroit. His blazing speed, defensive hockey IQ, and slick moves made him an instant favorite with Red Wings fans. However, “AA” barely saw time in the third period when playing in a close game (most nights). In the coming season, Blashill will give Athanasiou a longer leash and the opportunity to earn more ice time. If Athanasiou can keep his pace while playing more, the Red Wings may have found another mid- to late-round steal. 24. Another high-ish draft for the Red Wings this June. In June, the Red Wings will pick 16th overall in a deep draft. Recent high-ish first round picks have produced Mantha, Larkin, and Svechnikov. Perhaps the Red Wings can take a stud defenseman in the middle of the first round? Jake Bean, Dante Fabbro, Charles McAvoy, and Olli Juolevi could be available at 16 if the Red Wings opt to pick a defenseman. 25. Johan Franzen will continue to brighten your day through his Instagram. If Johan Franzen cannot play another NHL game, he’ll definitely find success as a comedian.